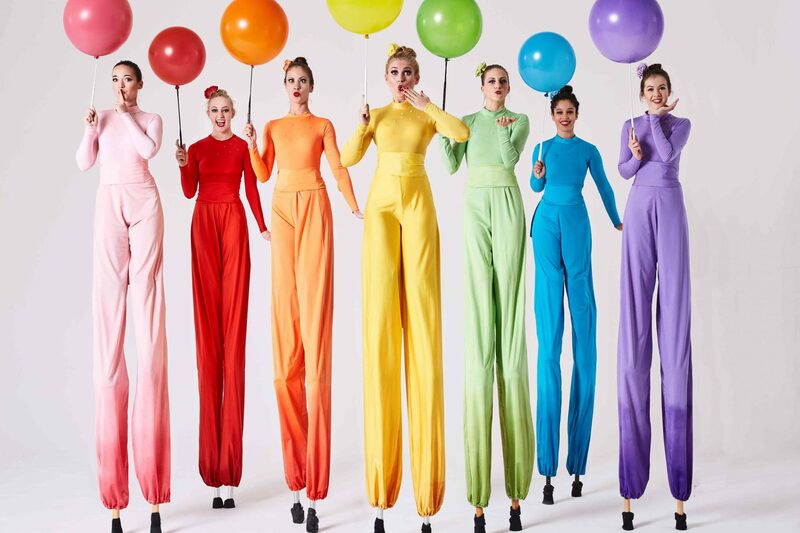 Our Colour Characters range over a very large spectrum – and are continually growing – collection of matching garments created with the same fabrics and dyes which can be worn on stilts or foot. These costumes can be seen with or without lights, and can be accessorised with unique head and shoulder detail, or worn without for a simple, elegant look. They are incredibly versatile, and can mix and match restricted palates to work with logos, national flags or anything you would desire! Go full multicolour for events which require the biggest visual splash possible, or stick to block colours to match seasons or branding. "I would like to thank the performance for their work on the night - they were the talk of the event." "They are the perfect act to brighten up any event." "They were vividly beautiful, extremely professional and I would certainly recommend them."